HSTH exists to equip those who are called to preach the gospel, with practical, theological resources aimed at developing the discipline of preaching. 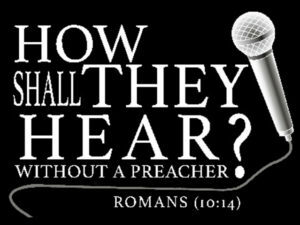 It reaches across gender, ethnic, generational and denominational lines to empower and equip those called to preach. Pastors, preachers, evangelists, ministers in training (MITs) and seminarians are encouraged to attend this annual gathering of proclaimers of the gospel for instruction, inspiration, edification and empowerment. Plenary sessions and interactive workshops are facilitated by nationally and internationally acclaimed expositors. Conference participants glean from the teaching and preaching experiences of some of the most prolific, prophetic and often times poetic, theological voices of our time. REV. ANTHONY L. RILEY, M.DIV. REV. ROBERT E. YOUNG, D.MIN.